Tyre giant joins code of conduct | What Car? 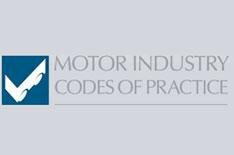 The UKs largest independent tyre distributor and fitter has joined the Motor Industry Code of Practice for Service and Repair. Micheldever, which sells six million tyres in the UK each year, has signed up all of is 50 Protyre outlets to the code. The code is designed to provide motorists with an easy way to find a reputable and reliable business to carry out work on their car. It also offers conciliation and legally binding arbitration in the event of a dispute. Micheldevers retail director, Simon Hiorns, said: Protyre has built a reputation for providing exceptional service, something that the Motor Code allows us to promote to our customers. There are more than 6000 service and repair garages signed up to the voluntary code, which was launched in response to criticism of standards within the industry. It encourages best practice and is actively recruiting more garages to join.